websites. backup. eCommerce. antiVirus. DotNetNuke. security. 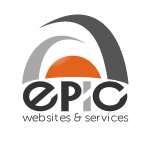 Epic Services is a Northern Beaches (Sydney) based web design and IT services company. 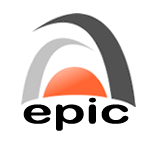 We have been IT professionals for 35+ years and proudly designing web sites since 2001. We provide a friendly, personal and professional service to Australian SMEs and organisations, covering the entire range of website and related online services. Since 2007, Epic has been providing flexible, dynamic and cost effective online solutions: sites that work for you in growing your business, not just static brochure sites. Contact Epic today to build your business online, or to review and improve your existing presence to cater for emerging trends such as responsive design. Epic also offers a full IT systems support service for our VIP customers: with our years of experience in the IT industry we maintain systems to a corporate standard of professional knowledge and governance without the associated high costs. I am Epic Ali and buzz around the site to make sure everything and everyone is happy and smiling. I am a very very busy bee! The fact you are reading this content tells us that you are probably looking at a number of web design companies with a view to creating or updating a web site. We hope you are: after all, stumbling across the first designer site Google brings up, having a quick glance and deciding “they’ll do” isn’t exactly due diligence. To assist your choice here are the reasons we think Epic stands out from the crowd. We have a long history in the IT industry. We’ve been building web sites since the turn of the millennium and have been operating under the Epic banner since 2007. We are in this for the long haul and don’t plan on going away any time soon. So you can rely on us to be around next year, and the year after, to continue to help you with your online presence. Not only can you rely on us to be there for you, you can also trust that any site we build for you will be upgradeable to cope with new technologies as they emerge, without the need for a major rework. So your investment in your business’ website will last a long time, not just a year or two and then need repeating. When you talk to Epic there are no help desks, support centres, or virtual staff between you and us. You will talk directly to the person who is dealing with your site. To make your life easier we don’t JUST build websites – we offer the full range of services you need online. You won’t need to make the often confusing decision as to who to call for advice or support. We can even assist you with your office systems via our services branch if your business would benefit from those services. Yes, of course we would like to do business with you. But that doesn’t mean we’ll 'fit you up' with an unsuitable website just to get your money. Every Epic site is custom configured to address your needs and desires, not just an out-of-the-box template that may or may not work for you. In the unlikely event that we believe we can’t do a good job for you in meeting your needs for a website we will tell you so and probably even make a recommendation for someone who can. We understand that even though you will be able to update your own site, sometimes you’ll forget how to make a particular change, particularly if it’s something you don’t need to do very often. So we expect the “how do I do this” phone calls, we don’t charge exorbitant support fees for a five minute phone call to remind you how it works, and our rates for maintenance work if you want to make a major change and are not confident to DIY are very reasonable. Of course it does. Because your success is our success as well. We know that a happy customer at the end of the day means more business for us, because you will recommend us to someone else. So we will pull out all the stops to ensure your website performs the way you need it to in supporting your business requirements. In 2013 the design revolution resulting from wide-scale adoption of mobile devices to access the internet really begins to take hold. We at Epic recognise and embrace this trend at an early stage and rework our portfolio to ensure all our sites are fully responsive allowing a seamless experience regardless of viewing technology. In 2009 we decided on a change of business name. Epic Multimedia had a large video transfer component which was a dying area, so we dropped out of that business to focus more on web sites and general IT services. Hence the name Epic Services which better reflected our key skills. We now started to take in more technical consulting work for larger players in the services space. 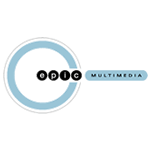 In 2007 Lynne and Graham joined forces and acquired Epic Multimedia. The business had been established for many years and focused on the same website CMS we prefer, so it was a great match for our skills. Graham is a very technical person and looking after the back end was his forte. Our hosting servers became his babies and, sad but true, he spends hours looking after them so our sites are managed to industry best practice. 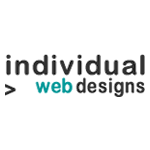 In 2000 Lynne started Individual Web Designs as a bespoke website design company. At that time almost all sites were written directly in HTML, so Lynne was able to be involved at the start of the move to Content Managed Systems. Meanwhile, Graham was working for a major Australian IT company managing PC and server systems for many large corporations and government clients.